Toyota once again took the top spot as the most valuable automotive brand in the BrandZ™ Top 100 Most Valuable Global Brands 2015 published today. With a brand value of USD 28.9 billion (EUR 26.5 billion), it remains the most appreciated automotive brand by consumers. In the ten years since the BrandZ™ report was first published in 2006, Toyota was crowned brand value leader in the automotive sector eight times. BrandZ™ Top 100 Most Valuable Global Brands 2015 is the only study to combine measures of brand equity based on interviews with over two million consumers globally about thousands of global ‘consumer facing’ brands. According to BrandZ™, consumer perception of a brand is a key input in determining brand value because brands are a combination of business performance, product delivery, clarity of positioning, and leadership. Although automotive sales improved in some regions, they remained below pre-recession levels in others, adversely impacting overall brand values. In contrast, global sales for Toyota Motor Corporation(1) in 2014 increased by 2.5% to 10,2 million units which positively contributed towards the company’s brand valuation in this year’s report. According to the report, modern societal trends challenge the industry growth, across car makers product quality has improved significantly, however it is getting increasingly difficult to differentiate on the market. Millennials are less interested in car ownership, connected car technology along with online car sales are called in the report to be the “colliding trends” that complicate brand building efforts. 2014 was the year Toyota launched the world’s first commercial hydrogen fuelled sedan Toyota Mirai, which is already available in Japan, and will come to Europe and US in the second half of this year. Since Toyota pioneered the world’s first mass produced full hybrid vehicle in 1997 – Toyota Prius – sales of Toyota and Lexus hybrid models have exceeded 7 million globally. 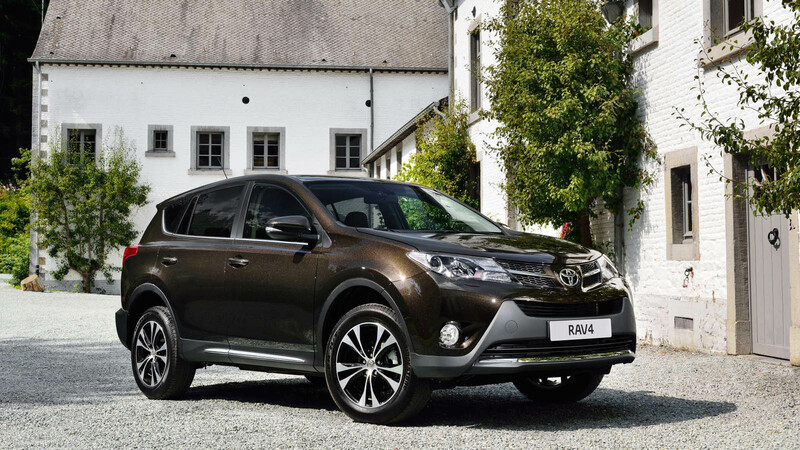 Customers in Europe can choose between 15 Toyota and Lexus hybrid models. Lexus has gained 10th position in the Top 10 list for the most valuable automotive brands with a brand value of USD 4.3 billion (EUR 3.9 billion). (1) Sales result for Toyota Motor Corporation includes Toyota, Lexus, Hino and Daihatsu. Developed for WPP’s operating companies by Millward Brown Optimor, the BrandZ™ Top 100 Most Valuable Global Brands ranking is now in its tenth year. It is the only study to combine measures of brand equity based on interviews with over two million consumers globally about thousands of global ‘consumer facing’ and business-to-business brands with a rigorous analysis of the financial and business performance of each company (using data from Bloomberg and Kantar Worldpanel) to separate the value that brand plays in driving business revenue and market capitalization.